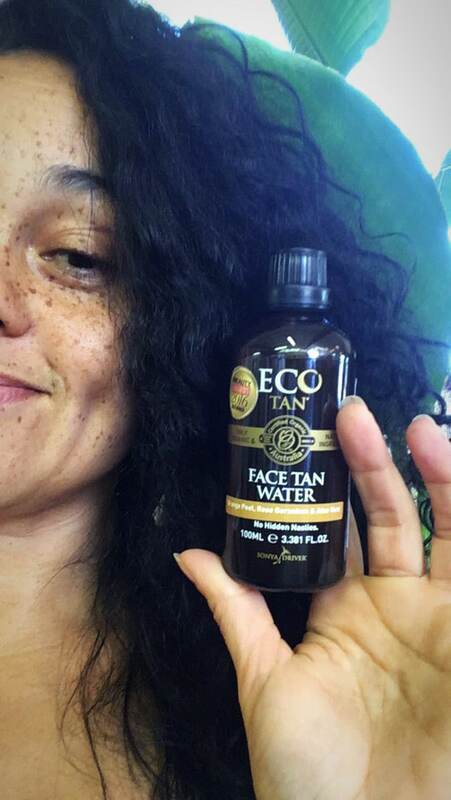 Self tanning Face Tan Water is a gradual liquid tanning toner, especially created for your face and neck! Face Tan Water builds to a beautiful glow, creates a youthful radiance and even reduces the need to wear foundation! It’s made with only certified organic and natural ingredients sourced from Mother Nature. Apply self tanning Face Tan Water 2-3 times a week. 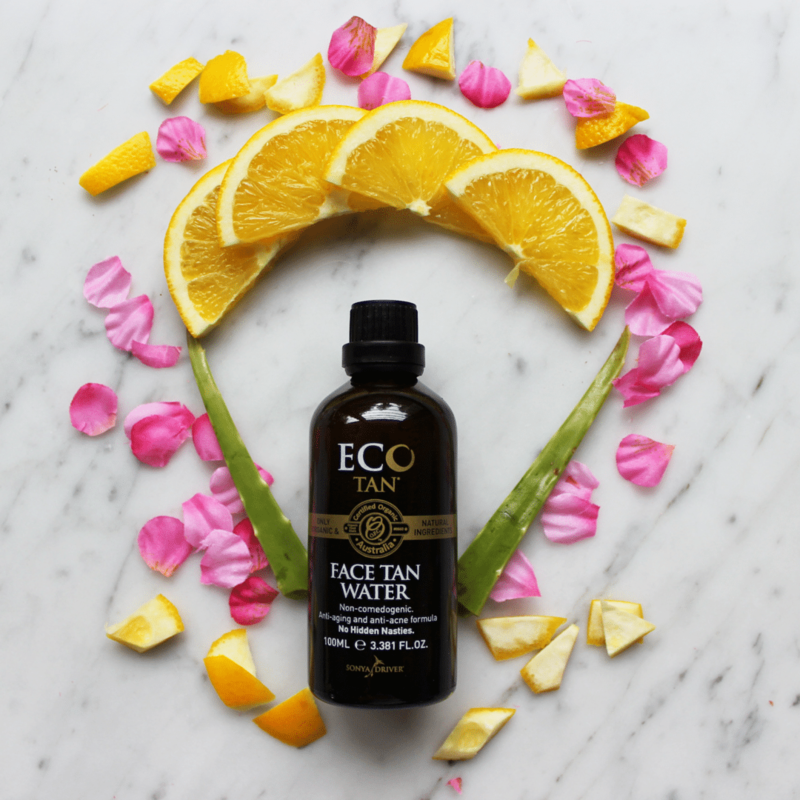 Face Tan Water is non-comedogenic, and it’s lightweight moisturising properties leave your skin feeling soft and hydrated. Is it Organic, Cruelty Free, and Vegan? Yes, it is! Did we mention all the awards? 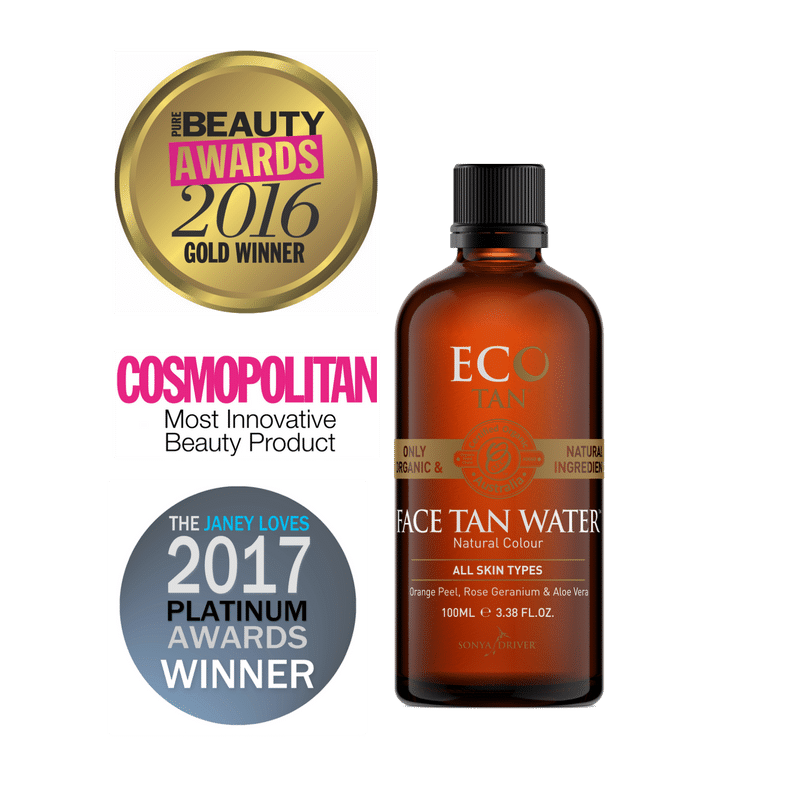 This revolutionary product was awarded GOLD in the 2016 UK Pure Beauty Awards as the Best New Sun Care and Tanning Product and was the WINNER in the Natural Tanning Category in the 2017 Janey LOVES PLATINUM Awards. Wash your face at night and then apply Face Tan Water to clean, dry skin before bed. Apply either with your fingers or a cotton face pad. Whatever works best for you! For best results, wait at least 7 hours for tan to develop before washing your face. So sleep tight knowing you aren’t putting any nasty, synthetic chemicals on your face. Wake up with a beautiful, natural glow and follow your normal morning skin routine. You can wash your face, moisturise and apply foundation if necessary. Avoid products containing oil or soap that will strip tan & make it uneven and patchy. Receive compliments left, right and centre because of your beautiful skin achieved through natural beauty.